Automation a Piece of Cake. Make recommendations and guide you to make better payroll decisions for both your FOH & BOH staff. 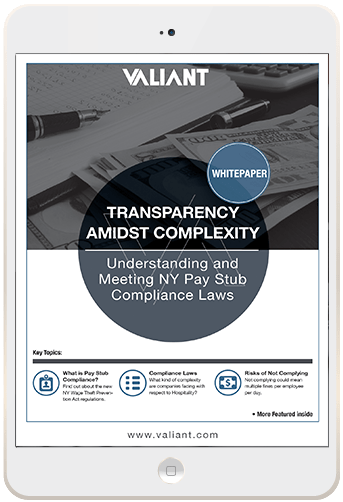 On top of major Compliance initiatives, such as Pay Stub Compliance, to ensure you remain in compliance. More time to focus on the components that make your restaurant great; good food, good service, happy customers. Connecting Time Worked to Time Earned. Our representatives will give you advice on that new dish and payroll best-practices. We’ve mastered the art of restaurant compliance in both our expertise and software. Opening up a new location? Need help with paystub compliance? We’re on it.